Since today’s strip has an arbitrarily large number in the corner, you have to suffer though downloading a very large image. I don’t know what possessed me to number and title each individual strip. If I hadn’t done that, I could sneak these things past you people without feeling guilty about not doing something special when a bunch of zeroes show up. 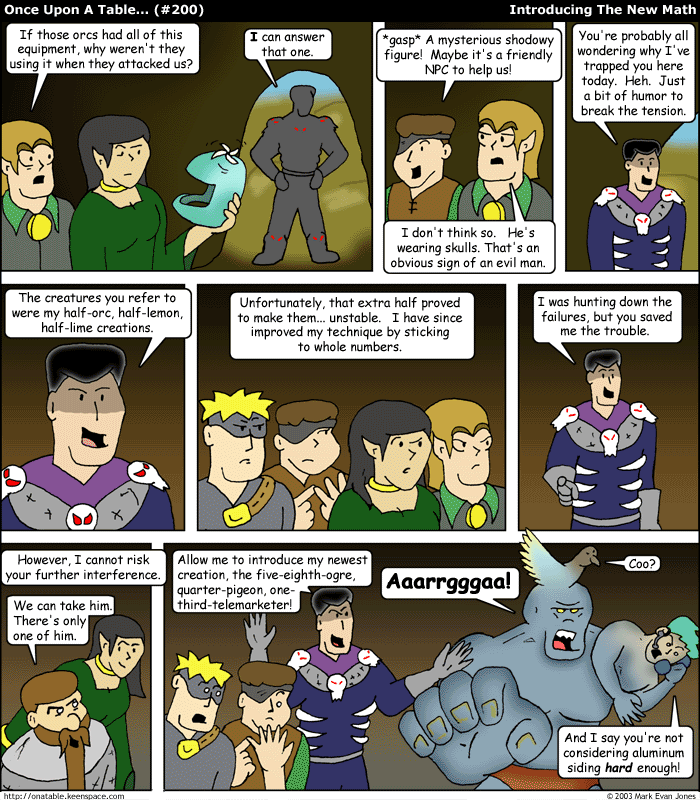 You know, if I were counting in base-12, this would only be strip #168. That’s not such a special number, is it?